What is Promotion Management Wizard? Promotion Management Wizard is a tool that aims to ease the task of CMS content copy. Instead of using the Command Line Interface (CLI), Promotion Management Wizard offers a Graphic User Interface (GUI) for performing a full copy or a selective copy. LCMBIAR files are the same compared to the CMC or CLI versions of Promotion Management. The content of this blog post is provided “AS IS”. This information could contain technical inaccuracies, typographical errors and out-of-date information. This document may be updated or changed without notice at any time. Use of the information is therefore at your own risk. In no event shall SAP be liable for special, indirect, incidental or consequential damages resulting from or related to the use of this document. Promotion Management Wizard will not create a job that could be reused within the Central CMS. This will save some space too. Full copy can be achieved by exporting the full content and later importing the LCMBIAR generated. Full copy can be achieved by running a live to live scenario. In that case, the tool will do – behind the scene – an export and once finished an import. Once this task is achieved, the temporary file will be deleted. What are the things to consider when performing a full copy? Space allowed to the Temporary folder is critical. If the space allocated is not enough the process will fail. The tool provides within the summary step an estimate of the space needed. The safe formula is FRS size x 2.5 (i.e. : 50GB x 2.5 = 125 GB). Temporary location can be defined at the beginning of the process. Make sure that Platform add-ons (Explorer, Lumira…) are installed prior to import/promote the content, otherwise objects will likely to fail. The time needed for importing an existing LCMBIAR is more or less 150% the time needed for exporting this LCMBIAR. Why? Some errors could happen when attempting to append objects that could slow down the process. Promotion Management Wizard will switch to a “safe mode” for ensuring objects can be added. This safe mode takes more time than the “regular mode”. For example, if the time needed for exporting is 1 hour. Importing will take between 1.5 and 2 hours. The whole process (live to live) should be a little bit less than splitting in two (export then import). As mentioned earlier, it is really important to know how to modify the memory parameters. Because Promotion Management Wizard is an eclipse-java based application, some additional memory parameters can be added too. Lot of resources are available using your favorite search engine. By default, Promotion Management Wizard will update the modification date. A dedicated parameter can be set to avoid this behavior. This will only work for objects that do not require a post-processing. This parameter is also available for selective promotion. Q: How to split the full copy scenario into smaller scenarios? A: By following the same rules explained in the Promotion Management online help! You can simply export/promote some objects, folders. You need to pay attention to the dependencies and the time/CPU needed to calculate them. Select few objects at the beginning and test by performing an export. The tool gives you the ability to check/uncheck the dependencies calculation. 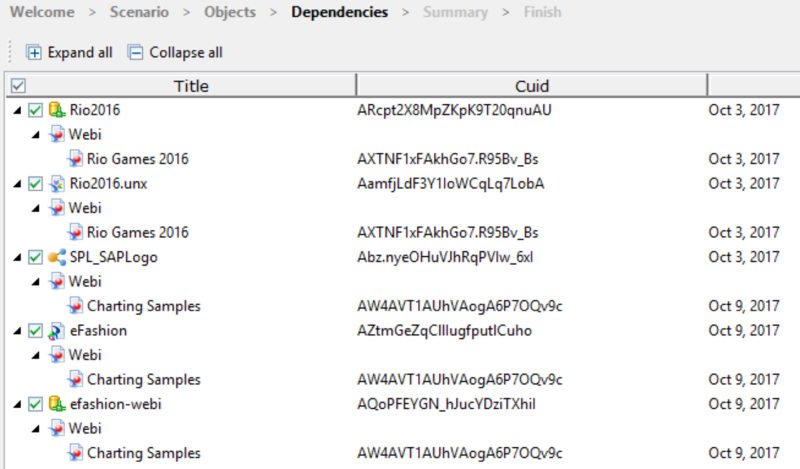 When the dependencies are displayed you can also exclude some of them or all of them. Reminder: The tool is designed for mass copy. No rollback doable! Once installed, Promotion Management Wizard can access to previous versions of the Business Intelligence platform (4.x). 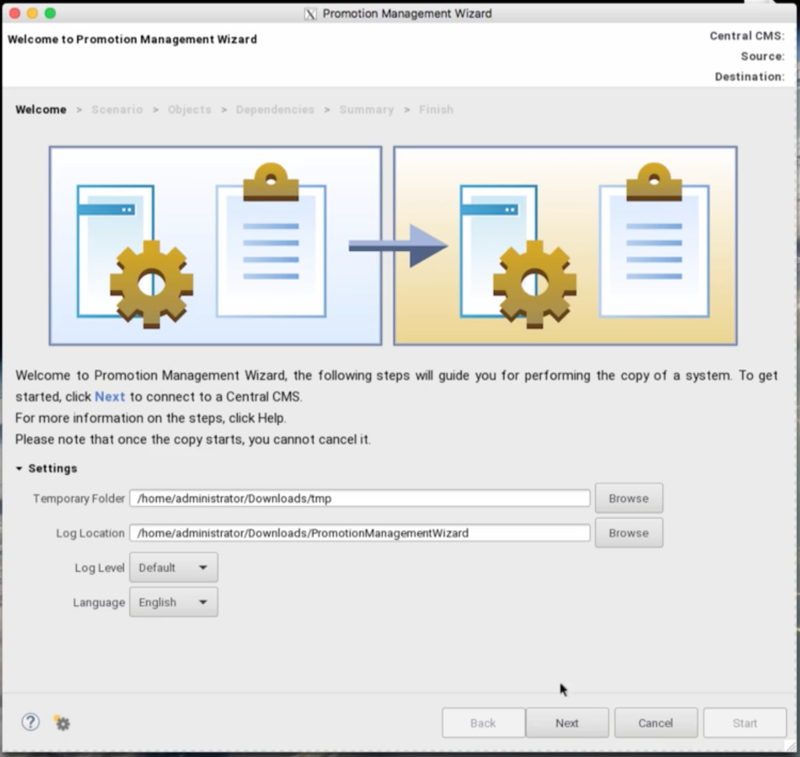 So typically, you can export the CMS content of SAP BI 4.2 SP3 and import to SAP BI 4.2 SP4 CMS using Promotion Management Wizard running on SAP BI 4.2 SP5. However, the tool won’t stop you when attempting – for example – to copy the content of SP4 to SP3, you should avoid that. Objects serialization can evolve between service pack and backward compatibility of objects is often not guaranteed nor supported. The tool won’t be able to copy the content from XI 3.x. Instead, use Upgrade Management Tool for this task. Yes. Promotion Management Wizard works on Linux, with a Graphic User Interface (GUI)! If you are familiar to Linux, you should be able to setup X11 (X Window). A regular remote desktop could do the work too. Thanks for sharing .Good to see all these things coming. Alex, Thanks for sharing this. This is a huge feature enhancement and the most requested feature in this topic area. Alex, does this provide a way to selectively not override content in the destination? That was one feature in Import Wizard that is sorely missing in LCM, PM, BIAREngine, and PM Command Line. Also, is the Dependency Viewer hierarchical? It isn’t in UMT, and has been the source of significant frustration. This option is not available in the UI. 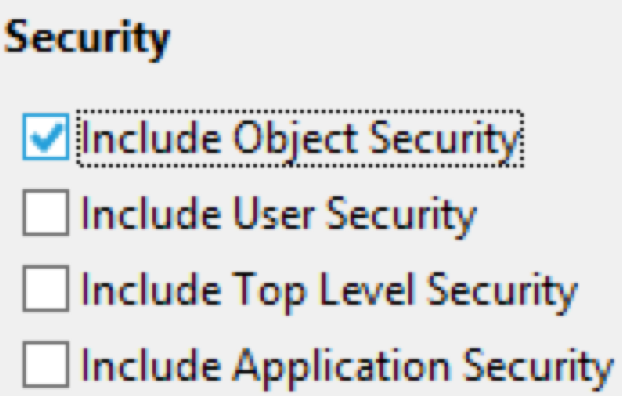 However, we added an option to rename objects when an object is in the destination but do not have the same CUID. I’m not sure if I’ll answer properly, but the Dependencies step display the list of objects in a tree. The discovered object as root element, the objects which triggered as “children”. Thank you. So there’s no way to avoid overwriting an existing object with the same CUID? Any idea if there will be a command-line interface for this functionality? CLI functionality like this already exist. However, a simple folder with some Webi reports, there’s no way I can get the security on the folders to go across. No matter what options I try. The summary screen looks fine and it looks like its going to move the CALs, groups etc … it just doesn’t. Is it possible to do selective content promotion in LCMBIAR to live system scenario? The button Selective content promotion is not active. And it does not matter if a LCMBIAR file was exported in full or selective mode. FYI – I installed an SP5 update to an SP4 system, but the PMW did not install. I didn’t do that intentionally, could it have been caused by a ‘custom’ SP4 installation? I could later go back into control panel and modify the installation to install it, but that did mean a SIA downtime to do this. Just one question: what is intended to the status “ignored”? I mean, under which circumstances the PMW will treat an object as “ignored” rather than “imported” or “failed” ? I’am trying to perform a Full content promotion Live to Live from a BI4.2 SP4 to a BI4.2 SP4. We are seeing this tool run very slowly and importing 8000 (objects plus instances) can take over an hour. Per the formulas here, we have memory settings high enough. There doesn’t appear to be any bottleneck on the server from a system resource perspective. There does appear to be a lot of writing to disk to a derby database, but that doesn’t seem to be saturating throughput in any way. Are there any tips you have for further troubleshooting slow performance with this tool? Also, be warned that this will currently not move your scheduled/recurring instances successfully. I assume PMW imports content from 4.x environment only. Could it also work with importing 3.1 content? Also, is this a replacement for UMT?